Returning to the presidency, Vladimir Putin ceased to be interested in his financial position: his income, according to the declaration, returned to the 2016 level , and there was no change in the list of movable and immovable property. Cars GAZ M-21, “Niva” and trailer “Skiff” – on the spot. Dmitry Medvedev last year earned 1.3 million rubles more than the head of state, but he also didn’t make transactions with property. In 2017, Vladimir Putin earned an extra 10 million rubles thanks to the sale of a 15 hectare site, and this was almost a sensation. For the first time, his income statement was at least somewhat different from the documents of previous years! But a year passed and everything returned to normal. The new declaration contains almost the same amount as in 2016 – 8.6 million rubles. The main sources of GDP income, according to the Kremlin, are presidential salaries, bank deposits and military pensions. Apparently, the size of these components never changes. In the same frozen state is a list of property owned by the president. For many years he owns an apartment of 77 square meters and a garage. In addition, for the right of use, the GDP has another apartment of 153 sq.m. and another garage. Just as before, Vladimir Putin owns three domestic cars – two rare Volga GAZ M-21 and the Niva SUV, as well as the Skif trailer. This time there is nothing interesting in the declaration of the prime minister of the Russian government. Dmitry Medvedev owns an apartment of 367.8 square meters. m, as well as cars GAZ-20 “Victory” and GAZ-21 “Volga”. In addition, the head of the Cabinet continues to lease an area of ​​47 acres. His wife, Svetlana, for many years in a row declares income of 0 rubles, the owner of the apartment she is not – only the user. In the garage at DAM’s companion, the old Volkswagen Golf is still gathering dust. In addition, two parking spaces are listed. True, in terms of revenue, the head of government in 2018 managed to beat the president. If according to the results of the last reporting campaign, DAM declared 8.56 million rubles, then this year – 9.9 million rubles, or 1 million 400 thousand more. In the government apparatus, any fluctuations in the income of the prime minister are usually explained by the profitability of his bank deposits. For example, in 2016 and in 2017, revenues on them fell slightly due to a decrease in interest. It can be assumed that this year there is a reverse trend, although the White House has not yet given any official explanations on the occasion of the extra earnings of the head of the Cabinet. It should be noted that the richest officials in the government was Deputy Prime Minister, Presidential Plenipotentiary in the DFO Yury Trutnev with an income of 538.3 million rubles. A year earlier, the palm of superiority belonged to the head of the Ministry of Agriculture, Alexander Tkachev, who had left the Cabinet of Ministers, who earned 548.2 million rubles. It is noteworthy that the Minister of Culture Vladimir Medinsky in 2018 earned more than the first vice-premier and head of the Ministry of Finance Anton Siluanov – 41.9 million rubles against 40 million rubles. Women in the government still receive significantly less – in the region of 14-15 million rubles. But the deputy prime minister for social work, Tatyana Golikova, who noticeably lost in income after going to work at the White House (she earned 74 million rubles in 2017 in the Accounts Chamber) has a rich husband, Viktor Khristenko, with an income of over 80 million rubles. And Olga Golodets, vice-premier for culture and sports, still has her overseas property – half of her house in Switzerland and a third of her apartment in Italy. One of the most modest incomes in the cabinet was the Oreshkins. The minister himself earned significantly less than one would expect from a “successor” – only 21.5 million rubles. And his wife reported in the declaration of the unfortunate 600 rubles. However, it owns an apartment and two foreign cars – the Land Rover and the Range Rover. 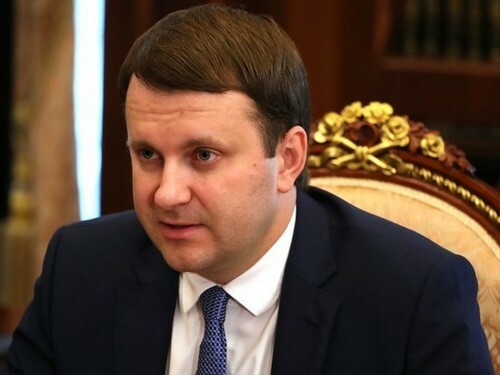 The presidential administration also changed its leader: following last year’s results, Anton Vaino, the head of the AP, who sharply reduced his income from 255.8 million rubles to 9.6 million rubles, and President’s plenipotentiary in the Volga Federal District, Igor Komarov, who received 657 million rubles in revenue. At the same time, of these, income from the sale of AvtoVAZ PJSC securities amounted to 618, 124 million rubles. Thus, the former head of “Roskosmos” became not only the wealthiest employee of the presidential administration, but also ahead of all ministers and vice-premiers in terms of income. But the spouse of Vladimir Putin’s press secretary, Tatiana Navka, managed to maintain the status of the richest “Kremlin wife”. According to the declaration, its income amounted to more than 218 million rubles, which is about 17 times more than Dmitry Peskov’s earnings. At the same time, Navka, apparently, sold an apartment in the United States, which had repeatedly been the object of criticism. In addition, she had two, not three premium cars. In Russia, the spouse of the Kremlin’s speaker still owns two land plots, two residential buildings, three apartments, one parking space and an all-terrain vehicle.